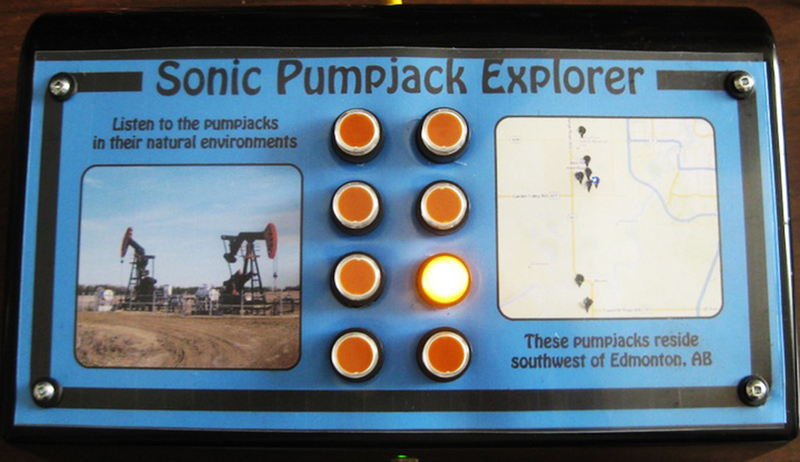 Living in an oil province, many of us have a complex love/hate relationship with an industry that, essentially, pays our bills. 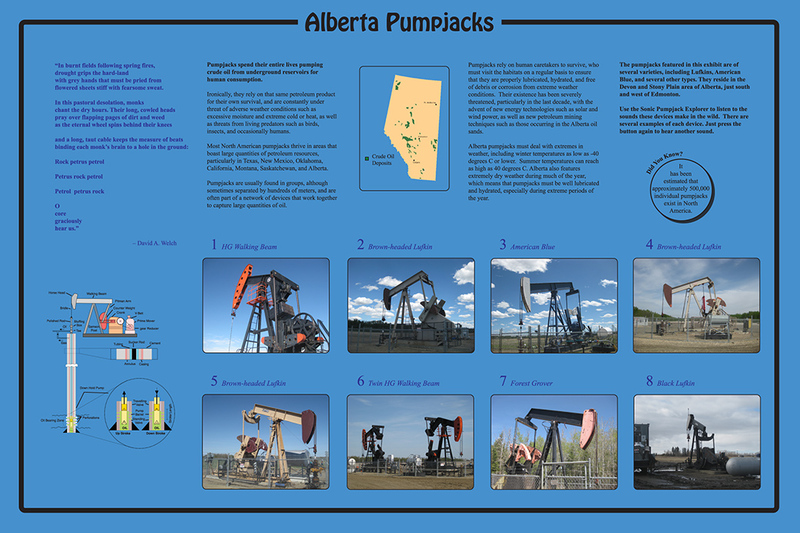 As swaths of land are being decimated for bitumen in the north, and oil wells litter the prairies, Alberta is simultaneously full of untouched, natural habitats that are home to unique (and endangered) wildlife. 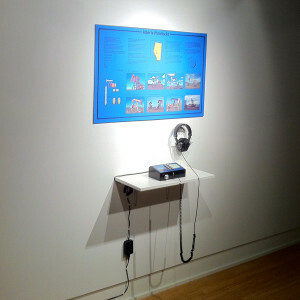 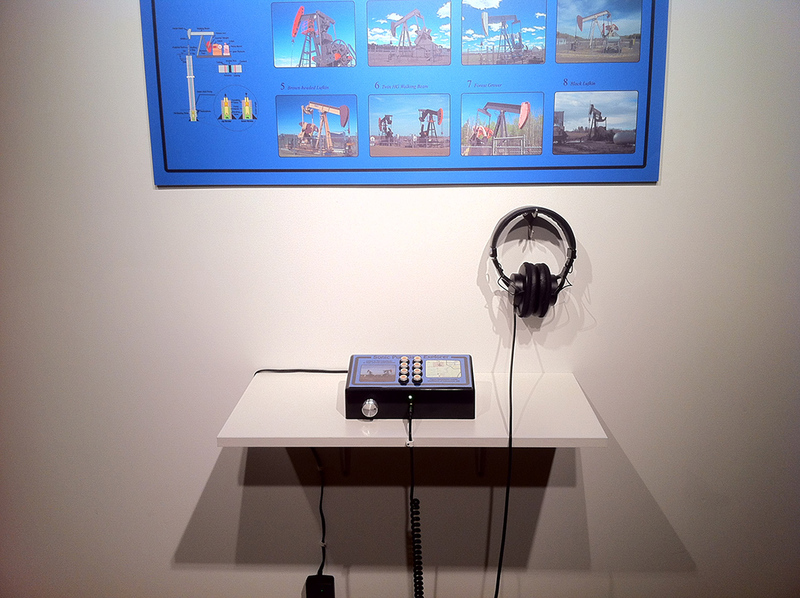 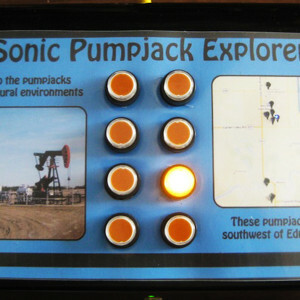 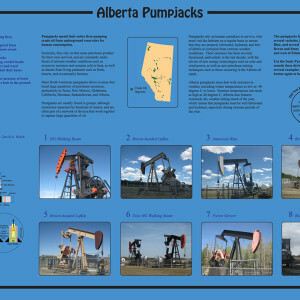 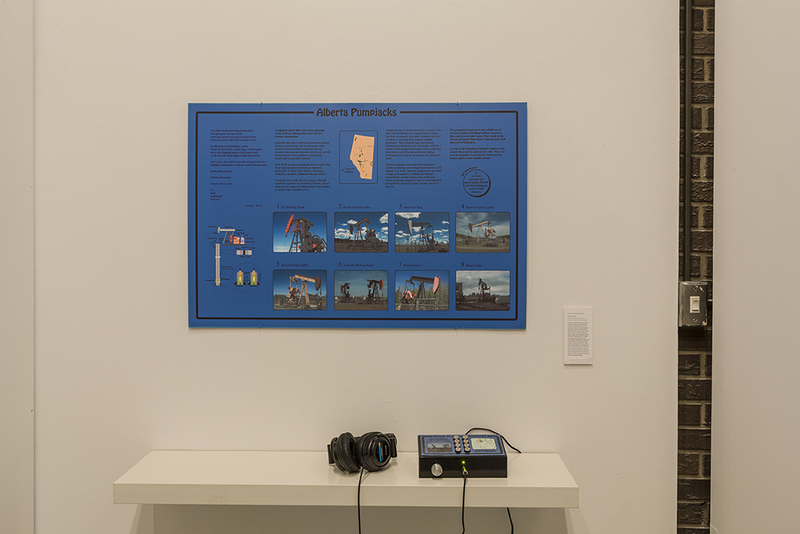 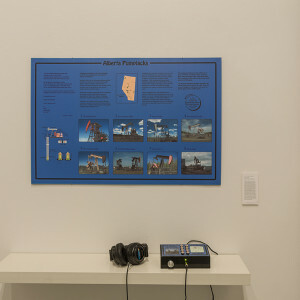 The Sonic Pumpjack Explorer is a tongue-and-cheek play upon the interactive museum kiosk, inviting listeners to hear these mechanical devices with the same kind of reverence afforded to the birds or frogs that are often featured in such displays in natural history museums. 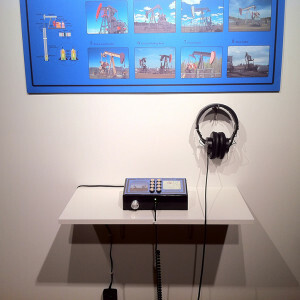 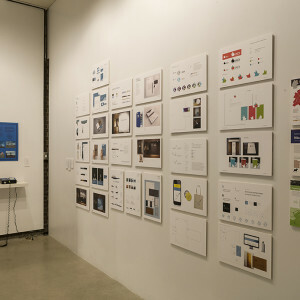 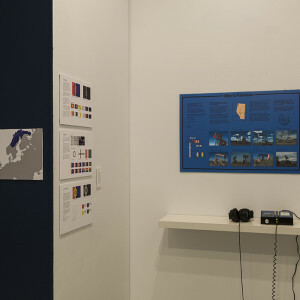 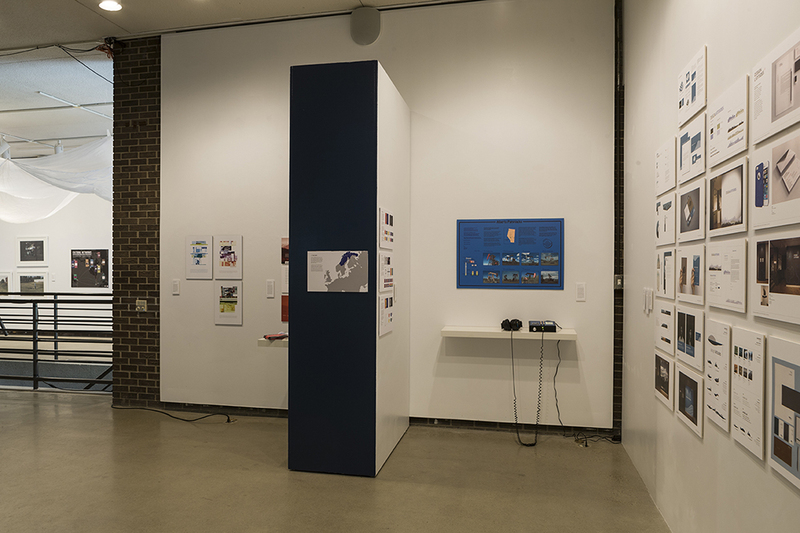 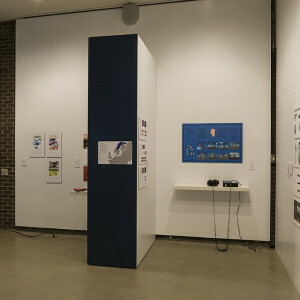 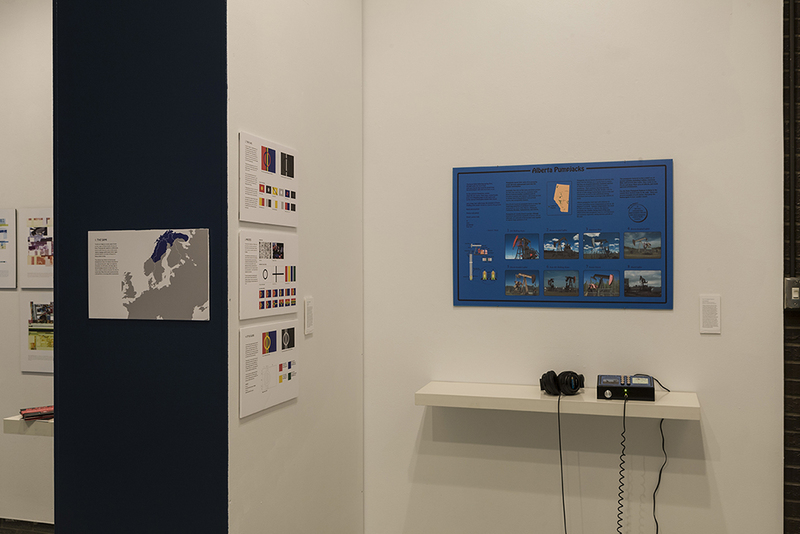 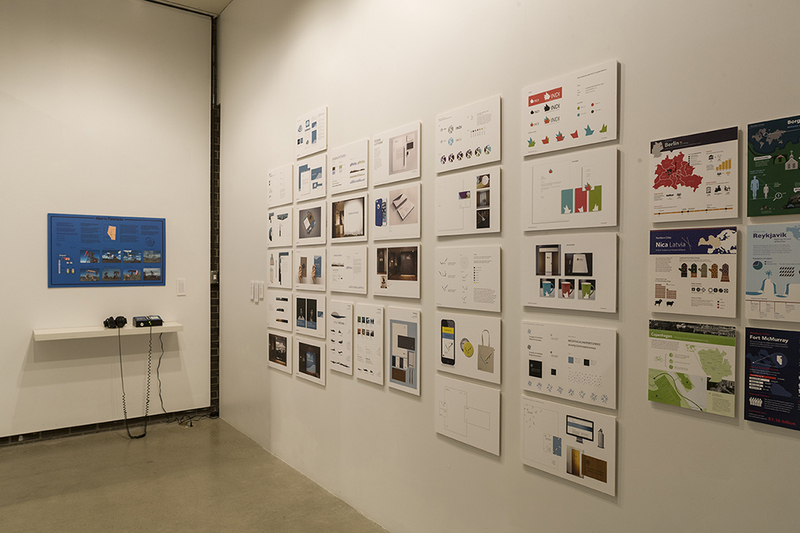 At the same time, it plays upon the “oil discovery” museums that exist in places like Fort McMurray and Devon, satiating the interests of those who geek out over the technology, while placating the environmentally sensitive.